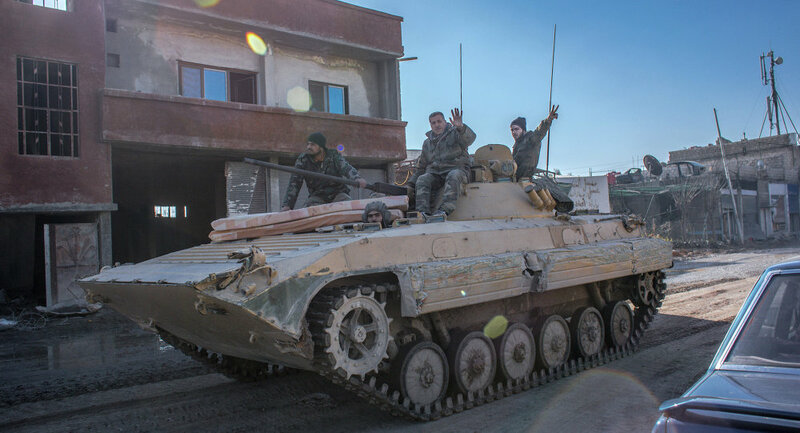 MOSCOW (Sputnik) – Russia supplies Syrian government forces with firearms, grenade launchers and armored personnel carriers as the country is struggling with radical ISIL militants, the Russian Kommersant daily reports citing military-technical sources. The supplies "are in accordance with international law and in line with all formalities and existing contracts [between the Russian and Syrian government]," the source told the newspaper on Thursday. According to Russian President Vladimir Putin, Russia provides "considerable" support to Syria in terms of equipment, training and weaponry. On Wednesday, Russian Foreign Ministry spokeswoman Maria Zakharova stressed that Russian military specialists deployed in Syria are not participating in military operations in the conflict-torn country and are limited to an "advisory role." Syria has been mired in civil war since 2011. Government forces loyal to Syrian President Bashar Assad are fighting against several opposition and radical Islamist militant groups, including the al-Nusra Front (Jabhat al-Nusra) and ISIL radicals. Last week Putin said that Moscow and Washington were discussing the creation of an international anti-terrorism coalition, but cautioned that it was too early to discuss Russia getting involved in direct military action against ISIL militants. The United States is leading an international coalition that has been conducting airstrikes against ISIL positions in Iraq and Syria since 2014.